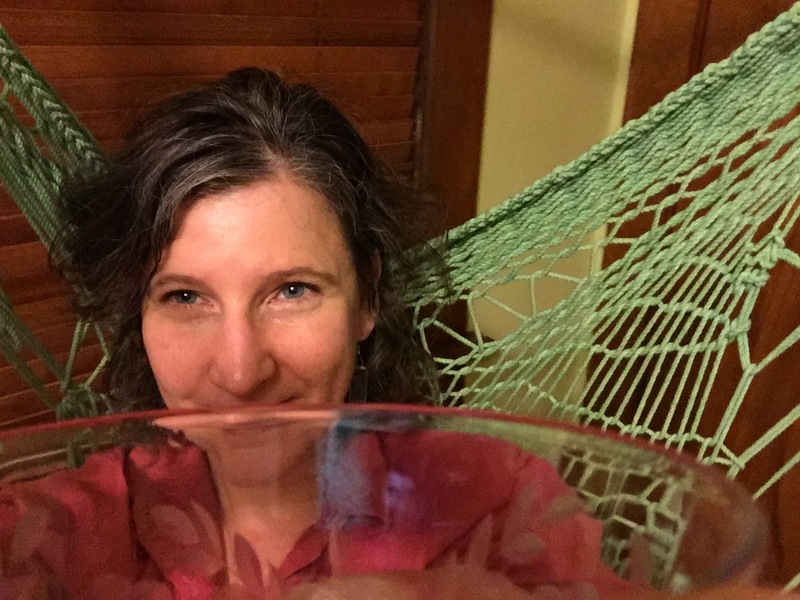 I searched my blog only to discover I had forgotten to tell you about the hammock. Yes, the one inside the house. 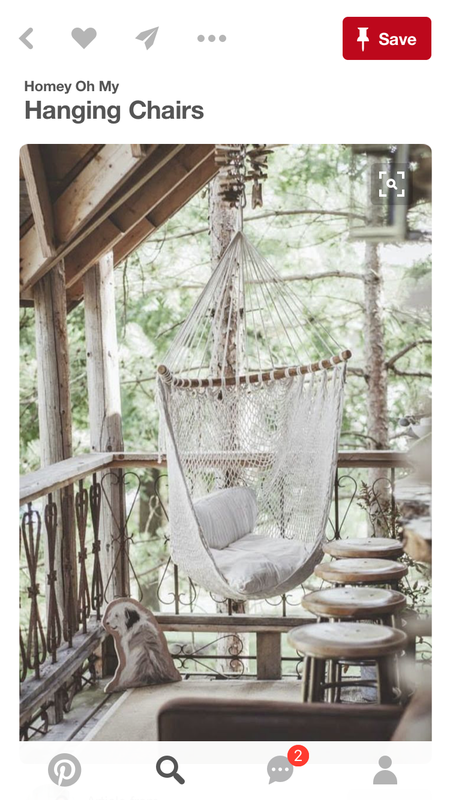 It’s not a traditional style hammock, the type you hang between trees or suspend in a stand, but rather more like a hanging chair and it’s my favorite spot. It took awhile to get it right. At first, we bought a stand, but it broke. It bent under the weight of all the kids sitting in it, like a puppy pile-up. Then we hung it from the ceiling and followed the directions to a T. My son ended up on the floor twice with the hardware barely missing his head. But I did not give up. Finally we bolted it through the joist and used an aircraft-rated wing nut to hold it in place. 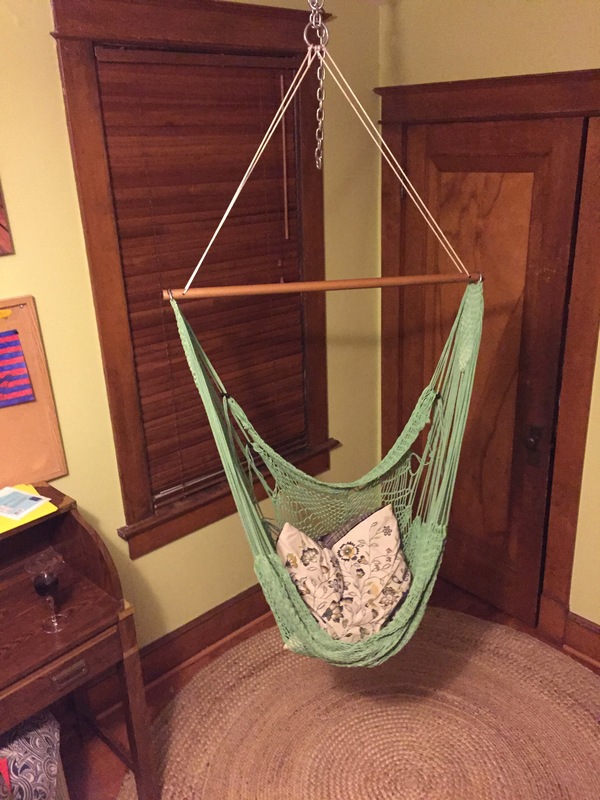 We added a swivel device so the hammock could spin without unscrewing the mechanism. It’s worked and the hammock is secure now. 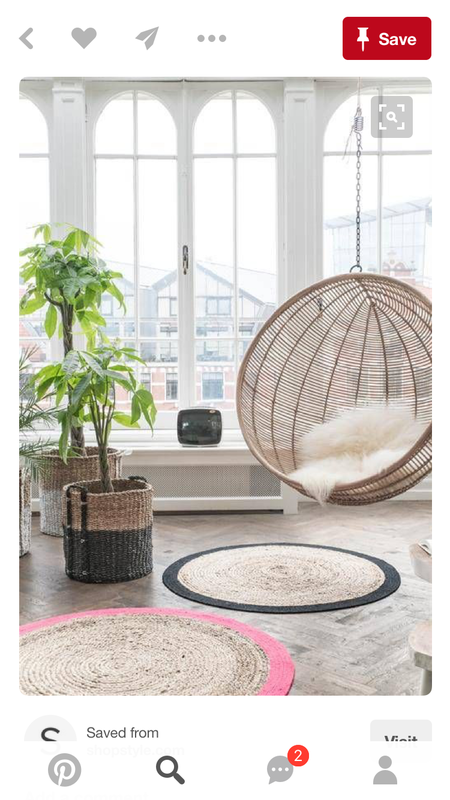 Inspired by Pinterest and because I owned one already, I threw a circular sisal rug under the hammock chair to define the space. It’s tucked away in the office area and near a window that looks out on the backyard. It’s the perfect quiet spot. 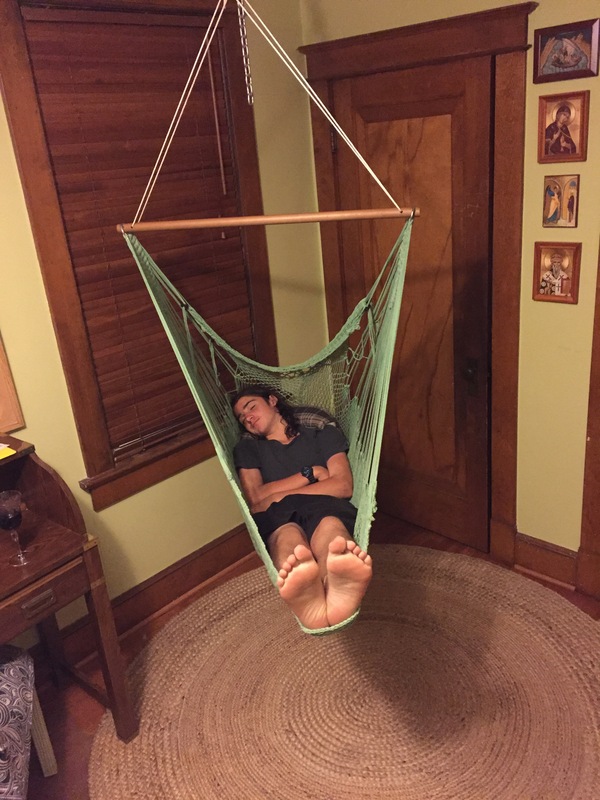 If you have an engineer handy to help you install an indoor hammock, I highly recommend it. © Mariam d’Eustachio at Simply Turquoise 2016.